Appreciating the many things that make it special to live in America. 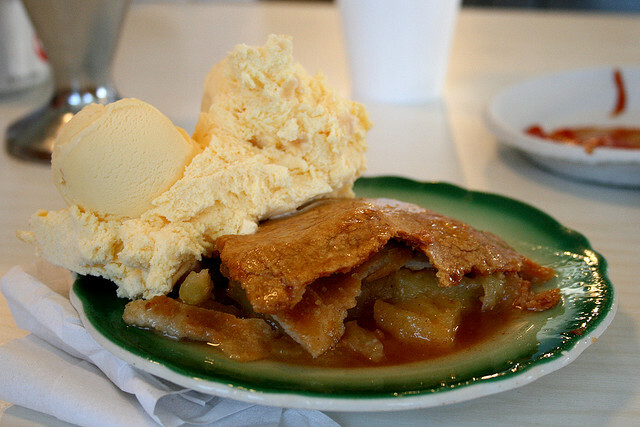 To me, the best apple pie has a flaky crust, soft apples, and a scoop (or two) of vanilla ice cream. Uploaded to Flickr by photographer S.C. Asher. Photo uploaded to Flickr by photographer xetark. My wife makes a terrific apple pie. I hope you know someone who makes one like hers that makes your mouth water. And there’s only one thing that can make a great apple pie even better — and that’s a scoop (or two) of vanilla ice cream. No, not cinnamon ice cream. Don’t go making this some kind of fancy-schmancy dessert. It needs to be simple. Warm pie, cold ice cream. Maybe a glass of milk. 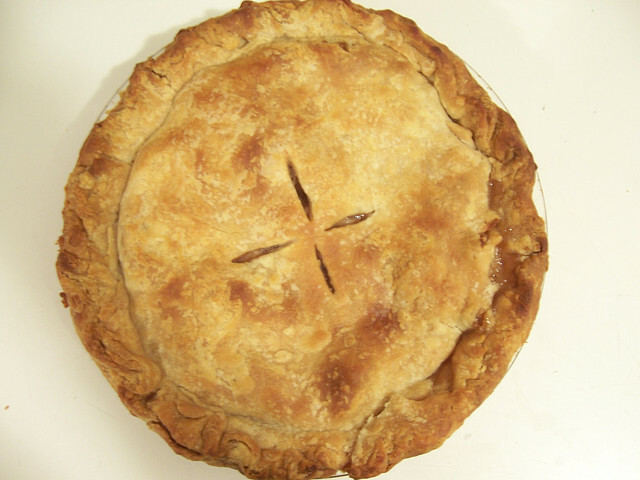 There are variations on apple pies; some people like cheese on them (never understood that), some like raisins (freaks). What you don’t want, is what I saw on a recipe at allrecipes.com. It started, “Tired of ordinary old apple pie?” NO! I’M NOT! And if it’s prepared right (cook those apples so they’re soft, people) I NEVER WILL BE! Copyright 2009-2011, Robin G. Chalkley. All material on these pages, and the listing of items as Great American Things, is copyrighted. The exceptions are the photographs and videos, which remain the property of their respective owners. Header photo used courtesy of Flickr photographer too melo.